The Brewers' Association of Scotland (TBAS) has launched a free hotline for brewers offering advice on licensing and HMRC from TLT LLP and Johnston Carmichael. Scotland’s brewing industry is flourishing; there are more than 125 operating breweries throughout the country stretching from Shetland to Stranraer, and the public appetite for Scottish beer shows no sign of slowing down. 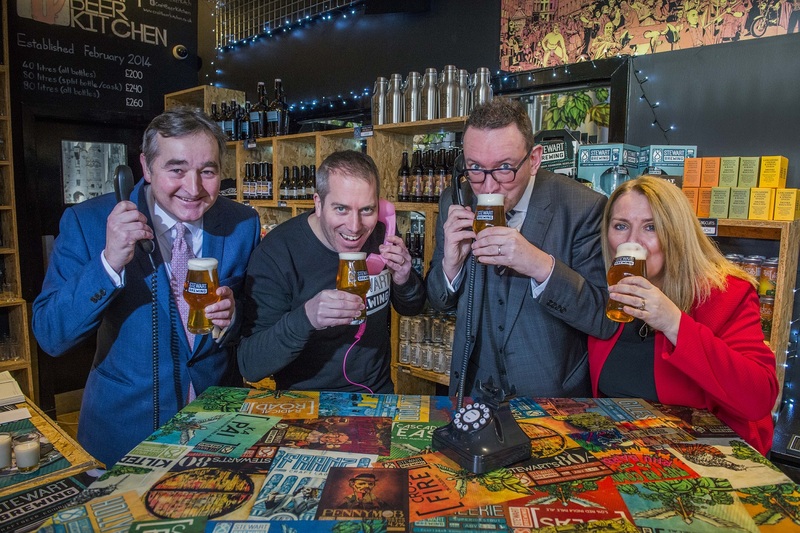 The new hotline service, launched at Stewart Brewing in Edinburgh, is available exclusively to members of TBAS and will provide help and support for Scottish brewers on a wide range of licensing and HMRC issues including licence applications and training, Small Brewers' Relief scheme, VAT, import and export producers and excise licensing, as well as broader legal and accountancy services. The Brewers’ Association of Scotland (TBAS) was set up by brewers for brewers to help to capitalise on this phenomenal growth. TBAS works to create opportunities which help to grow the sector, its reputation and individual businesses. The licensing hotline will be operated by the TLT LLP, a top-tier law firm for licensing in Scotland, and Johnston Carmichael, Scotland's food and drink accountancy experts. By calling the Johnston Carmichael's 'hopline', brewers can speak to JC specialists who can assist with Small Brewers Relief, Excise Licensing, VAT, Import and Export procedures as well as broader specialist accountancy services like growth funding and tax relief incentives. Brewers who are interested in accessing the hotline should email brewing@jcca.co.uk or call directly on 0808 1410013. The JC helpline will operate between 9am-5pm Monday to Friday (excluding statutory holidays) and TBAS members are entitled to 30 minutes free advice. Fierce Beer is not for the faint hearted: the Aberdeen craft brewery was set up in 2016 by oil & gas industry veterans Dave Grant and David McHardy who packed in the corporate world to follow their dream of opening a brewery that made weird and crazy beers. We sat down with co- founder Dave Grant to learn more about his brewing journey.